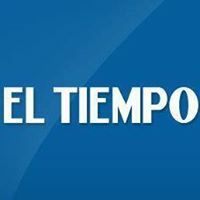 News TV Channel / El Tiempo Television is a Colombian subscription television channel focused on news programming. It was launched on October 5, 2010 and is owned by El Tiempo Publishing House. El Tiempo Television has several blocks focused on news, such as Noticias El Tiempo, which is broadcasted on weekdays during the mornings and within the central schedule; It also broadcasts the Writing Room, a program of opinion and criticism, in which several journalists comment on the most relevant topics of each week. The chain also has the Portafolio TV space, which consists of the analysis of events related to the national and international economy. Other spaces present are Analysis and interviews, based on the critique of current events. Similarly, the channel produces Tecnosfera, a block of thirty minutes devoted to the reporting of technological and digital novelties, as well as Carousel, which is based on cultural content, as well as the Culture and Entertainment program, focused on the entertainment of cinema and music.